What's Nathan Rennie up to this year? Nathan Rennie sits down and tells everyone about what he's been up to the past few seasons and what he's got on the go for the future. 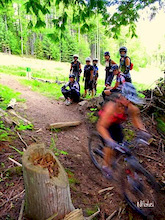 This weekend is the 2012 Ranchstyle Mountain Bike Festival in Grand Junction, Colorado. Will you be there for the Silver level stop on the FMB tour? Fulfilling a lifelong dream, Teva freeride mountain bike athlete, Paul Basagoitia can now add a natural terrain double backflip to his long list of accomplishments. The crew from Dunbar Cycles were at the Pro GRT in Port Angeles this weekend and had Michael Goldstein on the camera putting together daily updates, check out their race day edit inside. 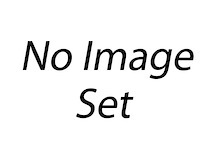 Kelowna, B.C. 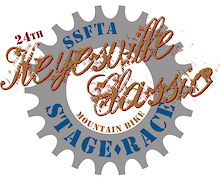 is home to so much mountain bike talent. It is no surprise that a new DH team has sprung up from the hills surrounding the city in BC's interior. Check out their intro video and team pics inside. The Italian Superenduro series travels to Tuscany for the second round of the 2012 PRO season. 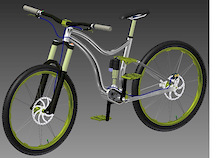 Part One of the Gauntlet - a behind the scenes look into what goes into critiquing, analyzing and scoring the top 9 designs in the Reality Redesigned contest. Yep, it's Monday and we've got 20 videos to get you stoked: Brendan Howey, Himalayan trail shredding, a $100,000 surfing video, and more. Steve Smith wins NW Cup, Pro GRT! 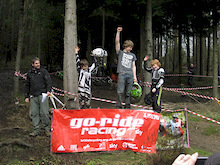 Smith wins the first Pro GRT (NW Cup #2) of the season with Gwin 2nd and Hannah 3rd. Kintner wins, Miller 2nd and Feniak 3rd in the ladies. Results inside, pics and report to come. Soderstrom dominated at Sea Otter this year, winning the Jump Jam, Bunnyhop contest and the Speed and Style, check out the highlight video inside. Steve Smith and Jill Kintner qualify fastest at Dry Hill in Port Angeles. The crew from Dunbar Cycles are at the Pro GRT in Port Angeles and have Michael Goldstein on the camera putting together daily updates, check out day two's video inside. The first full day of practice is over at the Port Angeles Pro GRT and things are ramping up to tomorrows seeding run. Who will have the fastest time? 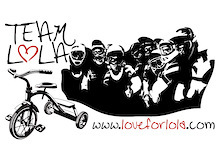 With Gwin, Minnaar, Hannah, Bryceland, Smith, Atkinson, Fairclough and others all here this weekend its going to be a good race! Genovese and Zinger snap some photos from day one at UDUG. Check it out! The crew from Dunbar Cycles are at the Pro GRT in Port Angeles and have Michael Goldstein on the camera putting together daily updates, check out day one's video inside. Time once again for another episode of Sequence Saturday. This time it's Jack Fogelquist shot by Davin Pena. The first race of the iXS European Downhill Cup of the season has now started, and here is the premiere of the GoPro Course Check. Emilie Siegenthaler (SUI - Scott 11) takes you on the fast and long course at Monte Tamaro. Is Your XC Bike This Fun to Ride? Ever wondered what legendary freeriders Wade Simmons and Thomas Vanderham pick from the bike quiver most? You might be surprised! Check out opening day for Squamish mountain communities' new Full Nelson bike trail. Ride your bike and meet the pro’s on Full Nelson’s Opening Day, a mountain bike community project. Win signed jerseys from ONE Industries riders Atherton, Graves and Warren. Can't wait to see Visneviy at a major slopestyle competition, he's got more combos than your local fast food restaurant. The final episode of Diaries Downunder for this season. Teva Slopestyle coverage, Super D footage, and possibly the widest bars on a cruiser ever... New Zealand looks fun. It was a sunny and hot weekend for Sick Mick and Couscous at the 2012 Volswagen Sea Otter Classic and talking about heat, Sick Mick was on fire! Teva has teamed up with the Crankworx crew to deliver a show-stopping big air event during the Crankworx Les 2 Alpes festival on July 13, 2012. Take a closer look at Aaron test some of his new Shimano Saint kit, captured by the Anthill Crew, so you know it's gonna be rad. Benny Phillips stomping a frontflip-tailwhip to dirt! 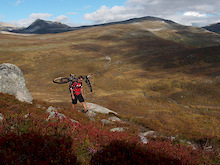 Is this a world first on a mountain bike? The Langtang Himalayas lie between Kathmandu Valley and the fabled Tibetan plateau. Mandil Pradhan and Grant Dansie set out to ride the Langtang trekking route, complete with epic hiking and spectacular scenery. 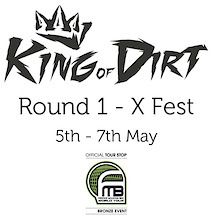 The King of Dirt series (UK) is part of the FMB tour and it's starting the first weekend of May - will you be there? 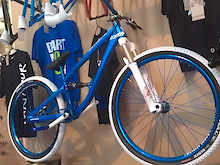 160-millimeter-travel shredder with mid-sized 650b wheels has impressed all who have ridden it. Anthony busted onto the scene last year and is now a household name in the world of Slope Style competitors. 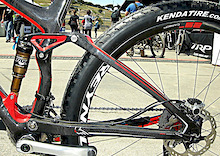 Here he is showing us his new Morpheus Vimana at the 2012 Volkswagen Sea Otter Classic. Jordie Lunn seems to be getting quite excited about Jumpship and has been cracking on making preparations in Victoria’s Inner Harbour. NW Cup #2/Pro GRT/US Grand Prix...Now! The Pro GRT's first stop is this weekend in Port Angeles and the tracks are all ready. If you race DH, get there! A big picture photo story from the Sea Otter DH Finals from Fraser Britton and Ian Hylands. Jared Graves and Jill Kintner wrapped up their weekends with wins in the DH at the 2012 Volkswagen, check out the race footage inside. While the rest of his team mates were doing battle in California, Steve Peat was playing host at Peaty's Steel City DH. Video and pics inside. The first round of the iXS European DH Cup kicks off soon, full details inside. Canadian Premiere - Strength in Numbers - TONIGHT! After two sold out shows for the World Premiere of Strength in Numbers, Anthill and Red Bull are presenting the Canadian premiere on April 25th at the historic Vogue Theatre in Vancouver BC. This will be an amazing show with HD projection, epic sound, a huge screen and your chance to celebrate with a thousand fellow mountain bikers. Foes Racing had two brand new bikes to show us at Sea Otter in their FXR all-mountain and Shaver 29, and we also take a closer look at the 8.25'' travel Hydro downhill rig. Sea Otter Pit Walk - What Have We Here? High tech and low tech at its best, and two happy endings. Margus Riga takes us through an amazing pictorial of the Dual Slalom and Speed N Style events in this big picture layout, enjoy! Well it's Monday so here's a slight diversion from Sea Otter coverage. Featuring: Aaron Gwin, Harry Main, Mitch Chubey, Brainfarm Cinema and more, we've got 20 amazing videos to get you through the week. Video and results from the first PRO round of the Superenduro race series in Italy. Scotland is already prepping for this year's biggest and best mountain bike event, read on to learn more. Martin Soderstrom has won the Rain or Shine Jam at Sea Otter, James Visser in 2nd, and Brett Rheeder in 3rd. Check out the video inside! Jared Graves has won the DH at the Sea Otter Classic, Mick Hannah in second and Aaron Gwin in third. For the women it was Jill Kintner, Melissa Buhl and Manon Carpenter. GT's Kyle Strait takes the victory against a stacked field, and Norco's Jill Kintner takes a commanding win. Check out the video inside to see the action. Pivot's Chris Cocalis shows how Direct Mount works and why it is stronger, better-shifting and lighter weight than conventional hangers. Just in case you wanted more than a press release. Martin Soderstrom has won the Rain or Shine Jam at Sea Otter, James Visser in 2nd, and Brett Rheeder in 3rd. Sea Otter Classic - Strait and Kintner win Dual Slalom! Jill Kintner and Kyle Strait have won the dual slalom at Sea Otter. Troy Brosnan and Cedric Gracia 2nd and 3rd in the mens, and Melissa Buhl and Manon Carpenter 2nd and 3rd in the women's. The 2012 Volkswagen Sea Otter Classic is well underway and it's hot out here! I am wondering the pits looking for cool things and here is the third round of What Tyler Found (WTF). Margus Riga and Ian Hylands have another batch of goods here at the 2012 Volkswagen Sea Otter Classic. These shots from the DH practice, XC racing and the Jump Jam, so enjoy! 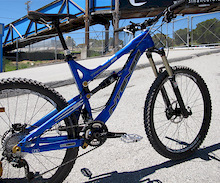 Stevie talks about his Devinci Dixon and explains why he is using it for the 2012 Sea Otter DH race on Sunday. Enjoy! 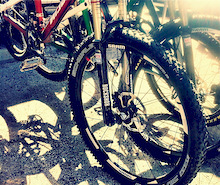 The 2012 Volkswagen Sea Otter Classic is well underway and it's hot out here! I am wondering the pits looking for cool things and here is the second round of What Tyler Found (WTF). Ian Hylands was on location at the Sea Otter 'Rain or Shine' Jump Jam, qualifying results and photos inside. Margus Riga and Fraser Britton are delivering the goods here at the 2012 Volkswagen Sea Otter Classic. These shots from the DH practice and Aptos jump jam are nothing short of amazing, so enjoy! SRAM debuts a new 650b sized wheelset and we hit the Sea Otter singletrack to see what all the buzz is about. 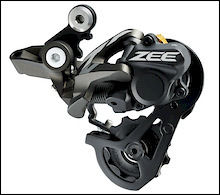 Will there be a 650b bike in your future? Video action from Day One at the Otter featuring: slalom footage, DH practise and lifestyle shots (plus a rare cameo by Aaron LaRocque crushing it on the hula hoop). The 2012 Volkswagen Sea Otter Classic is well underway and it's hot out here! I am wandering the pits looking for cool things and here is the first round of What Tyler Found (WTF). We put time in on FOX's new D.O.S.S. 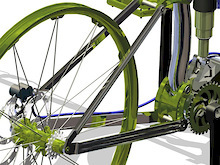 telescoping seat post and report back our initial thoughts. Will their first dropper post live up to expectations? The Winner Of The People's Choice Award! Congratulations to the winner of the Reality Redesigned People’s Choice Award! New Zealand is home to a thriving bike scene and here's more proof: Kyle Baldock, Hucker, TJ Ellis, Jed Mildon and friends throw down for Unit's Farm Jam. Easton brings its oversized Motocross handlebar technology to DH in both carbon and aluminum. Justin Leov absolutely pinning it in Wanaka New Zealand. The riding in NZ looks incredible. 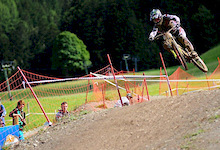 All the action from the Teva Slopestyle 2012 mountain bike event. Fill In The Holes - a no holds barred glimpse into some of the sports greatest minds. This week, Casey Groves and friends. 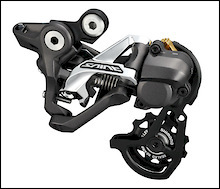 If it's about time for a little Spring cleaning and upgrade on your bike, we've got you covered. Online Deals for April is chock-full of shiny new toys. 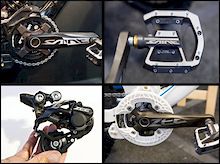 Shimano has just released the details on their 2013 Saint groupo and the line up is looking great - full details inside. 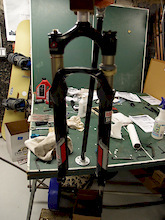 Brendan will be rockin' his new Scott 4X rig at Sea Otter this year, see the first shots of the bike in all its glory. 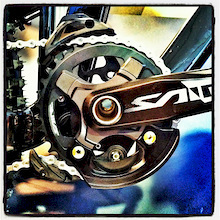 Updated with more 2013 Shimano SAINT photos. 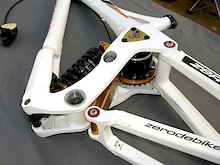 ...the first female-specific 29er dual-suspension race bike and new carbon wheels are all inside. Does anyone go bigger than these guys? Degree Men introduces the “MASTERS OF MOVEMENT” video featuring Darren Berrecloth exclusive on Pinkbike. Dainese sent Paul B deep into Oregon's Black Rock trails to get his thoughts on their proprietary Boa lacing system. Register now for the Western Open (Kicking Horse Mountain Resort, Golden, B.C.) and save $10 on on your entry fee. Paul Bas inks a shoe deal with Teva to keep his feet looking stylish for contests and filming in 2012. 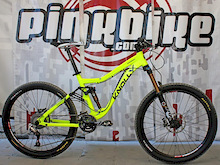 Luke Strobel is on board Team Kenda-Pivot this season and his new ride is looking pretty fast, check it out inside. Rocket Air Slopestyle 2012 - Official Video and Highlight Video! Rain, mud puddles and pinning it through the Pacific Northwest. Take a look at team SPS as they take on the first round of the Halo BDS DH series. This Friday at Monterey, California near Sea Otter, you'll be able to check out the much anticipated premiere of Anthill's new flick. I already heard tickets were scarce, so pick some up! Round 1 of the 4X ProTour in Belgium is over, and what a start to the new 4X tour it was! Sagerian Media (Adrian Marcoux and Taylor Sage) will be dropping 6 videos this year for GT Bicycles and the first one is here. Check out Kyle Strait and Tyler McCaul as they hit all the different trails around Santa Cruz, California. Shot on location over two days near Kamloops BC this spring. Featuring the freeride stylings of James Doerfling and Garett Buehler. Brett throws down hard in his yard. 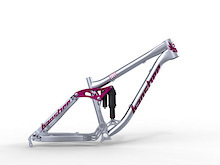 Looks like Trek's newest acquisition could be a major slopestyle podium threat this season. Two of Canada’s top gravity teams – PerformX Downhill and Team Young Guns – are joining forces to take on Canada and the World Cup. Dream garage? Fred Glo is the man behind Tribe Distribution, the French Enduro series and Urge Helmets' and we got to have a peek at his collection of amazing toys. Chris Akrigg is on the mend and it won't be long before he's back at full strength. Chris talks about his past, rides moto trials, rock climbs, and of course does some riding. Superenduro Round 1, Golfo di Diano Marina - Race Day! Today is race day in Golfo di Diano Marina as it all gets underway for the 2012 Superenduro season. Matt Wragg brings us the last of his daily reports from the race. 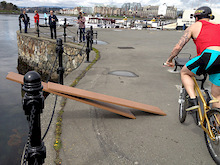 Here is a sneak peek into some early planning Jordie Lunn and the boys are putting together for Jumpship 2012. 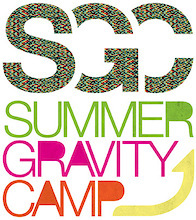 SGC gets ready for what looks to be an all time 2012 season in the Whistler Bike Park! The start of another week and another 20 fresh videos coming in hot. We've got Redbull Rampage training, World Cup downhill ripping, and two of the best BMX edits of the year. Martin Soderstrom has won the 2012 Rocket Air Slopestyle. Prince George is a northern town in British Columbia and has been the breeding grounds to a lot of top MTB talent over the years. Bush League brought us all the Kenny Smith videos over the past few years and now they want to open our eyes to all the antics going on up north. Tired of struggling to find places to stay at races, contests, or other events? RaceSpace.org could be the answer for you. Superenduro's first PRO race of the year is happening on Golfo di Diano Marina this weekend. Matt Wragg brings us the second of his daily updates. It's Saturday again and time for another episode of Sequence Saturday. This awesome BMX sequence was sent to us by Erik Hölperl. Rocket Air Slopestyle day one is in the bag - check out some highlights including the Teva Best Trick Showdown. For riders in the Vancouver, B.C. area, NSRIDE has a great club for meeting other riders and having an all around great time on the trails. More details inside. Enduro racing season officially opens in Italy this weekend with the first PRO round of the Superenduro series. Matt Wragg brings us the first of his reports this weekend. NS bikes has a solid stable of hard tails, but after a few years of development they are finally releasing their Soda frame to market. We've just been fired word that RAM bikes will once again be putting on the Shambhala Open Cup in Sopot, Bulgaria, this May. Be at the Santa Cruz Bike Festival this weekend (April 14th and 15th) to experience the Camp of Champions Big Air Bag for FREE! Here is the official video from last weekend's Trek Gravity Enduro Event in Djouce woods in Ireland. We here at Pinkbike love this kid and his videos, from his run bike days to now getting to go to Woodward for Spring Camp. Good work Jackson! Cannondale's Fulcrum downhill bike was ahead of its time in the late 1990s, we take a closer look at the technical innovations on the bike. 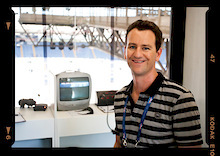 Paul Genovese runs us through his 2012 DJ rig as well as give us his plans for the season. Check out the video. Long time user Aaron Larocque, a staple of Pinkbike's video section ever since its inception 5 years ago, has been pumping out incredible footage which has been stoking out the biking community, making us all want to ride. I was curious to see how many VODs he has gotten, turns out he got his 50th this year! So huge shout out to Larock! Liam Renaut caught up with Troy and his mates out at the local DJs as the golden light was creeping out. Red Bull Divide and Conquer - Registration is open! Vancouver B.C. 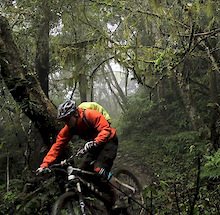 's North Shore mountains will play host to Red Bull Divide and Conquer (June 16, 2012), a multi discipline endurance race and the registration is now open. Custom Pink Intense 951 - We have a winner! Thanks to all the generous readers here on Pinkbike, there were over 1400 donations made with a stagering total of over $33,000 raised for Breast Cancer Awareness during the Custom Pink Intense 951 fundraiser in March. All winners listed inside! Dean Tennant and Aaron LaRocque team up for their fourth (and best) video yet. Get stoked for some rowdy riding and stunning cinematography... Spring Cleaning never looked so good. This one's a banger. Tyler McCaul Joins the Deity Bloodline! 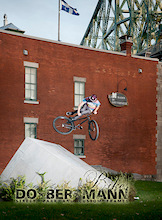 Deity components welcomes Tyler McCaul to the Bloodline, congrats to both. Course Builder Ramon Hunziker walks us through the course for this weekend's Rocket Air FMB stop. Brake Authority have been running on-board tests with Fabien Barel to develop new compounds for their pads. Fill In The Holes - a no holds barred glimpse into some of the sports greatest minds. This week, we check in with the Canadian DH Girls. Halo BDS Round 1 - Race Preview for this weekend! Are you a racer from the UK that's packed and ready to head off to Round 1 of the Halo BDS this weekend? Here is your race preview details inside. John Housser uses some high tech camera trickery to create these 360 degree, interactive photo sequences - check em all out inside. It's a month past the first World Cup, so late for any covereage, but this video is one of the best to come out of there. Definitely captures the feel of Pietermaritzburg. The Giant Factory Off-Road Team is going to be releasing web edits all season long and here is their first one from South Africa and Andrew Neethling's backyard. The first round of the Trek Gravity Enduro Ireland series went down this weekend just outside Dublin in Djouce, County Wicklow. Check out the pics and recap inside. 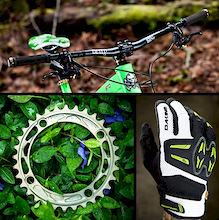 We race-test a familiar DH chainguide and a new crankset for a whole season and then some. This weekend saw the first round of the 2012 Northern Downhill Series take place at Alwinton, a venue that has become a mainstay of the series in the north of England. German enduro racer Julia Hofmann talks about training in La Palma, her preparation for the enduro season in Europe, and racing goals. Video, photos, and interview inside. Check out the racing pics from George, South Africa as the first round of the Western Province series kicked off on the weekend. Back from the dead - A return from injury. People's Choice Award:The Final Round! The FINAL Round of The People’s Choice Award is here! This Round will determine the winner of an $8000 custom built bike and Drift Camera! 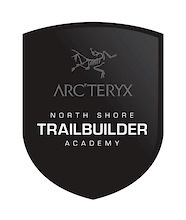 Do you live near the "North Shore" and want to learn more about proper building techniques? This academy could be for you. Remi Gauvin and Jill Kintner have won the first round of the NWCup in Port Angeles this weekend, Adam Mantle and Luke Strobel in 2nd and third for the men, and Holly Feniak and Miranda Miller 2nd and 3rd for the ladies. 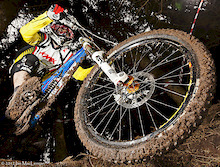 Superenduro powered by SRAM 2012 season starts this weekend! Enduro racing season offiically opens again in Italy this weekend. The Madison Saracen team return after last year’s stunning debut season, with a new team manager in the shape of ex-World Cup rider, Will Longden, the team are more focussed and determined than ever before. Improve your leg and core strength with sandbag training. Stronger legs and Core with a few simple steps from James Wilson. The 4X ProTour kicks off in Houffalize, Belgium in less than a week's time. Details inside. Top American XC racer, Willow Rockwell, has retired from mountain bike racing, more details inside. This is it, MTBCut vs Silvia in the final for Pinkbike Video of the Year presented by Strength in Numbers. Who is going to take home the grand prize? Your call. CRC/Nukeproof's Alex Bond spent some time in front of Jacob Gibbins' camera getting loose on his short travel bike. It's official, the Coastal Crew will be bringing you their video masterpieces aboard Specialized Bikes. So stay tuned to PB all year for the action with the first video included here! Kamloops shredder Ian Killick was seriously injured in a crash earlier this year while riding in Vancouver. Here's a video showing the aftermath. Heal up quick Ian! It's Easter Monday so that means another batch of 20 fresh videos to keep you entertained. 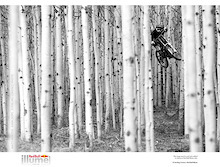 Included inside, everything from 16'' mini-bikes to masterful trials riding by Ryan Leech. 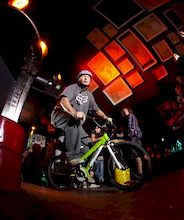 Last week the League of Gentlemen 16" World Championships took place at the World Bar in Queenstown. Team MBC's Chris Ganeff recently sat down with legendary Canadian mountain biker, Ryan Leech, to discuss biking, coaching, yoga and his involvement in this year's Mongolia Bike Challenge. Brendan Howey has been doing a bit of work on his back yard lately, and Landon Stirling takes full advantage of it with this up close tail whip sequence. The most viewed videos from March on Pinkbike! Congrats to Larock for 3 VOMs in a row! 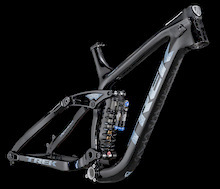 With the Video of the Year contest coming down to the final stages, Trek has upped the anti by upgrading the prize to a now completely custom Strength in Numbers Carbon Trek Session 9.9. Hold your chin before seeing the photos cause your jaw will drop. The first new SIlvia video of 2012! Matt Hunter riding in the snow and making studded tires look very, very fun. Are you heading to Italy on a biking holiday? Here is a site that can help you get the most out of your time there. Two years in the making and worth every second, Strength In Numbers from Anthill Films has just unveiled their official trailer, and all I can say is that the World Premiere in a few week's time is going to go off! 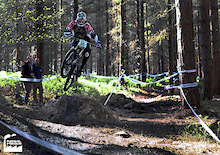 9 time Trials' World Champion, Kenny Belaey has joined the GT fold for 2012 and is looking to repeat his success. Check out his video from his time spent in sunny California inside. Our friends from Freehub Magazine have just dropped their fourth issue and it's looking better than ever, read on to check out more details on the crew from Bellingham, WA. Benny Phillips has won the Teva Slopestyle! Fill In The Holes - a no holds barred glimpse into some of the sports greatest minds. This week, Kurt Sorge and Garett Buehler. The land debate continues with Mitchell Scott's take on the situation, read on and let us know how you feel about this land that we all ride our bikes on. The Dismantling of North Fork trails in Whatcom County has begun. The riders rallied together, but as of earlier this week the trails in the North Fork region of Whatcom County have begun to come down. Now in its second season, the Steve Peat Syndicate is well on its way to become one of the better established race programs in the UK and in the USA. Video on the UK team's first gathering and training inside. Red Bull Canada is excited to announce the addition of freestyle mountain bike phenom, Anthony Messere. Here are the most viewed images from March on Pinkbike. Jon Bokrantz spent six months in New Zealand and came away with this amazing demo reel featuring Kelly McGarry and others. The Teva Slopestyle course opened for official practice today, check out some photos. Sprung 2 - Classic MTB Film Now Online! British filmmaker Alex Rankin has uploaded his classic 1998 MTB film to the internet! Schwalbe British 4X Series Round 1. Round 1 of the Schwalbe British 4X series took place on the weekend, results, pics and recap inside. Vertigo Bikes' Si Smith gets in training for slopestyle. This should be renamed - The Crash Segment. Despite Fogel needing a new camera at some point this season, his edits always entertain us! 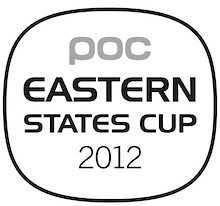 The POC Eastern States Cup is shaping up to be a great series with several venues all taking part to grow racing in the East. Details inside. You have seen the 4 articles, now get stoked to watch the feature video from the trip. Check out Nic Genovese and Mike Zinger's creation from their 8 day road trip with Anthony Messere, Paul Genovese and Mitch Chubey. Enjoy! 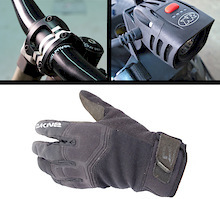 Which 4 videographers just won an Evoc Prize pack? Who will be the top 2? Check it out and vote for the next round. Red Bull X-Fighters head judge, Jason Moriarty, talks judging, careers and mountain biking with us. 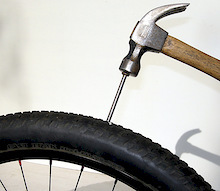 Check out the video coverage from the 2012 Specialized Cape Epic 7 Stage Race. 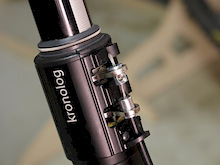 We show you how to replace the cable on Crankbrothers' new Kronolog telescoping post. 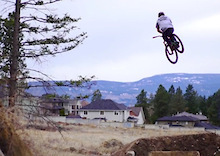 Virtu Media captures a sweet spring session at Dreamland in Kelowna. Check it out! Live in the lower main land of B.C. and like deals on gear? It's time for the 5th Annual Geoff Gulevich garage sale, details inside. Aaron LaRocque captures Richie Schley riding the remote mountains of Taiwan on the latest Pinkbike trip. A side of the country many people may not have seen. This edit just dropped from the Vienna Air King and the crash section alone is worth a watch. The riders threw down on the weekend. A Final Day at the Fork. An area often referred to as "where the Unicorns are" is facing a closure that begins tomorrow. This amazing riding area will never be the same, but with the right courses of action it may not be lost forever. Here's a candid look at the North Fork's last weekend before the tickets come out. After a 2 year absence from their range, Banshee will once again be dealing the Wildcard this summer. You'll have to act fast if you want in though, as this hand is strictly limited to 50 individually numbered frames worldwide. This full length movie is coming to us from North Carolina and it's worth sitting back and taking it all in, enjoy. The Victorian DH Series wrapped up on the weekend, with Timmy Eaton taking the overall title. Results and video inside. It's no April Fools prank, we've got 19 awesome videos to start your week. From all mountain trail crushing to bmx street wizardy - it's all right here. The College Cyclery Rain or Shine jam is now a Bronze Event on the FMB tour. Will you be at the Volkswagen Sea Otter Classic taking in the events? 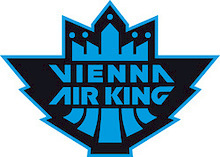 Sam Pilgrim has won the first FMB event of the season, The Vienna Air King. Sam Reynolds was second, Andreu Lacondeguy third. Full Results posted, photos to come. Turbospoke is turning up the volume for 2012, starting with the recent signing of Eric Lawrenuk as the first sponsored rider on Team Turbospoke.